An exploration of life on film through the eyes of different film-makers. In Recreation almost every subsequent frame is composed of completely disparate images. Stan Brakhage is one of the most productive and highly regarded masters of avant-garde film and Prelude: Dog Star Man is a major work. Death In The Forenoon is a short comedy utilising live action and animation. Ed Emshwiller was a remarkable technician and visionary, Relativity is his epic work about man’s place in the universe. Nightspring Daystar is a poetic notebook of images. The actor Jerry Joffen made unique film diaries and Bill Brand demonstrated a formal and direct way of presenting life through film that was important to the Structural movement. Robert Breer is another painter who found the canvas so restricting that he moved into cinema. All of his films seek to explore “the domain between motion and still pictures”. His first film was Form Phases I (1952), which was clearly influenced by Hans Richter and Viking Eggeling. In 1954 he made an innovative loop titled Image By Images I, in which each frame was independent of the next and there was no perceptual continuous motion. He further developed this new collage technique in the films leading up to Recreation I (1956-57) in which rapid, disparate, single-frame sequences are occasionally interrupted by slightly longer shots in an attempt to subvert the persistence of vision. Throughout the 1960s Breer refined his animation style in films such as Inner And Outer Space (1960) and Fist Fight (1964), before adapting his work process to include drawing on filing cards which he could flip through to view the movement. He also began to make and exhibit Mutoscopes of his card animations, and in the late 1960s built “floats”, small kinetic sculptures that moved along the ground at a very slow pace. Breer later started to combine live footage with his animations. He continues make short films that are always infused with gentle wit, some of the best examples are 1969 (1968), Gulls And Buoys (1972), Fuji (1973) and LMNO (1978). It is not possible to do justice to the work of Stan Brakhage in a single paragraph, or by showing one film in a season such as this. Brakhage continues to be incredibly prolific, making it hard to summarise his work. He began filmmaking with Interim (1953), a brief romantic narrative, and then made a series of trance films (including Reflections On Black and The Way To Shadow Garden, both 1955) inspired in part by his friendship with Maya Deren. Anticipation Of The Night (1958) marked a new turning point signifying his fascination with light and fragmentation of the normal visual world. Prelude (1961) is the opening section of Dog Star Man (1961-64), a major opus on the creation of the universe that is widely regarded as his greatest achievement. On its release it made a monumental impact upon the work of experimental filmmakers. Dog Star Man was then incorporated in The Art Of Vision (1961-65), a four-and-a-half hour long silent epic. In 1963 he made Mothlight by pasting moth wings and plant material between strips of mylar tape. After his 16mm camera was stolen he worked on the series Songs 1-29 (1964-1986), while continuing to make other films and series throughout the next decades. Brakhage is a great believer in the purity of cinematic vision and almost all of his films since 1955 have been silent. His recent works have all been abstract, made by painting directly onto 35mm or 70mm film. David Brooks was the first director of the New York Film-Makers’ Cooperative when it was formed in 1962. He made a series of short diary films before his untimely death in 1969. His work displays a freedom inherent in the use of a hand-held camera together with a natural sense of timing. In 1968, Brooks completed his longest film, The Wind Is Driving Him Toward The Open Sea, a melancholy unstructured narrative of reflection and seeking. Jerome Hill was the heir to the James J. Hill railroad fortune. While at Yale, he co-directed a feature film of Tom Jones (1927), and after leaving college he spent the following years travelling, painting and studying in Europe. In 1932 he bought one of the first Eastman Kodak 16mm cameras and began to pursue filmmaking, shooting some personal footage but mostly making documentaries. His film on Albert Schweitzer (1950-57) won an Academy Award and soon after he met Jonas Mekas and became aware of the independent film movement. Hill made a dream film, The Sand Castle, in 1961, combining live footage and hand painted sequences. After the feature Open The Door And See All The People (1964) (an absurd fantasy starring Taylor Mead and others), he made his first short film Death In The Forenoon or Who’s Afraid Of Ernest Hemingway (1933-65) which brought together material that was shot thirty years apart. It is both dark and humorous and was originally titled Anti-Corrida. More short films followed and his last completed work was the autobiographical Film Portrait (1970) which utilised the home movies of his childhood alongside new footage. Jerome Hill died in November 1972. Throughout his lifetime he used his inheritance to support many independent filmmakers and he was the original sponsor of Anthology Film Archives. Ed Emshwiller is widely regarded as one of the finest technicians of avant-garde film. In the 1940s he was one of the world’s leading science-fiction illustrators. After studying painting in Paris, Emshwiller made his first film Dance Chromatic (1959), animating abstract paintings over film of a girl dancing. Other personal films followed and he also spent time as a cinematographer for feature directors. Between 1960-62 he made the amazing Thanatopsis, a live action single frame animation. Relativity (1966) is a metaphorical film about man’s place in the universe. Using an astounding range of cinematic techniques, Emshwiller achieved complete control of time, gravity and scale. It was his most successful film and thereafter he went on to make pioneering works of video art. Jerry Joffen is a legendary figure of the Lower East Side, whose impulsive films are often dismissed as home movies. He developed a technique of unplanned multiple exposure similar to that of Piero Heliczer, another character who is often overlooked and undervalued. 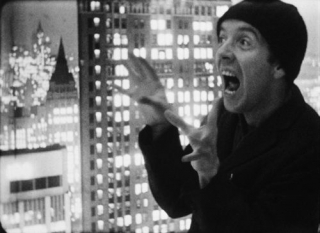 While sharing a loft with Ron Rice in 1961, Joffen began to make films such as Ineluctable Disaster In The Adventure Of The Stairway Of Infinite Rungs Infinitely Leading Nowhere (1962-63) with the downtown crowd. 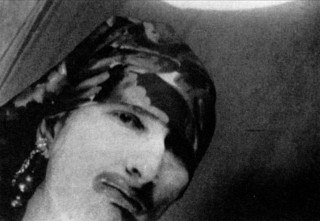 Jack Smith’s Flaming Creatures was premiered at his loft in 1963. As was often the case with Smith, Joffen rarely made definitive edits of his films and preferred to cut them specifically for each screening. In the early 1970s, Joffen became ill and underwent neurosurgery. He returned to the lifestyle of his Rabbinical family and made two religious films. Further surgery led to extensive paralysis and he was bedridden for many years until his death in 1983. HOW CAN WE TELL THE DANCER FROM THE DANCE ? Throughout the 1970s and 1980s, Bill Brand made a number of analytic films that investigated theories of perception and the transference of information. For Moment (1972) he developed a systemic editing procedure to fragment a continuous single shot of a garage from behind a slatted, rotating advertising hoarding. He went on to make the trilogy Acts Of Light (1972-74), “a study of pure colour based on the notion that film is essentially change and not motion”. Ken Jacobs has been a constant innovator in the field of cinema. His early work with Jack Smith heralded a new underground aesthetic. The extraordinary Blonde Cobra was shot by Bob Fleischner and later edited by Jacobs, who added a soundtrack of Smith’s unique monologues. It is a remarkable achievement. Baud’larian Capers is a fantasy home movie starring Fleischner, who’s own film Grandma’s House is a tender labour of love set in Coney Island. Towards the end of the decade Jacobs utilised a more Structural approach, investigating space and composition in Soft Rain and making Globe, which blossoms into 3D when seen through a special viewer. In 1969 he made the monumental Tom, Tom, The Piper’s Son, a two hour epic shot by meticulously rephotographing a 1905 film of the same name. Ken Jacobs’ films developed out of despair and desperation, and were an attempt to make an urban guerrilla cinema in reaction to his disappointment with the “wall to wall colour stupidity” of early avant-garde art cinema. After growing up in Brooklyn, he spent some time working as a coastguard off the coast of Alaska and on returning to New York, he began to make Orchard Street (1956), a documentary about the Lower East Side. He then embarked on a series of films with Jack Smith as his leading actor, commencing with Saturday Afternoon Blood Sacrifice: TV Plug: Little Cobra Dance (1957) before embarking upon a three hour epic titled Star Spangled To Death (1957-60). This film, which is concerned with the aesthetic of failure and collapse of order, incorporates new material with found footage. It occupied Jacobs for the next three years. After cutting it down to a ninety minute version for a benefit screening in 1964, he is still promising to restore it to its full length. During this period, using the pseudonym K.M. Rosenthal to “protect my obscurity”, he completed the wonderful Little Stabs At Happiness (1958-60), a series of whimsical 100’ rolls presented as they came out of the camera. During the summer of 1961, Jacobs and Smith spent time in Provincetown performing The Human Wreckage Review, which anticipated many of the artists’ happenings of later that decade and was closed down by the police. The Death of P’Town (1961) was made at this time. In 1960, Bob Fleischner gave Ken some unedited and abandoned footage of Jack Smith and Jerry Sims picking their way through a desolate apartment space. From this material Jacobs assembled Blonde Cobra (1959-63), adding taped monologues by Smith and several long passages of black leader. It is an incredible film which constantly defeats its own continuity through its method of construction. Ken Jacobs didn’t dig the Baudelairean tag and made the fantasy home movie Baud’lairian Capers (1963-64) in response. It forms part of a loose trilogy with The Winter Footage (1963-64) and The Sky Socialist (1964-65). Bob Fleischner worked on many of Ken Jacobs’ early films and had shot the original Blonde Cobra footage. In 1965 he made Grandma’s House, a labour of love featuring Jerry Sims. In the film, Sims returns to haunt his grandmother’s house in Coney Island where he discovers his dream girl, played by Barbara Kahn, and is faced with the possibility of giving up his life of doom. Throughout the 1970s and early 1980s, Fleischner made a number of brief portrait poems including Max’s Shirt (1975), Paradise (1978) and Sally’s Window (1982). After completing the feature-length narrative The Sky Socialist (1964-65), which in its cinematography investigates depth and the perception of space, Jacobs began to develop a keen interest in the manipulation of light. For projection of the 8mm film Naomi Is A Vision Of Loveliness (1965), he used a variable projector and distorting lenses. The next year, he began to present live shadow plays starting with The Big Blackout of ‘65: Chapter One “Thirties Man” (1965), which negated the need for camera or projector. The shadow plays continued to develop in two and three dimensions through the next two decades and included the wonderfully named Ken Jacobs At The Console Performing “Stick To Your Carpentry And You Won’t Get Nailed” (1979). In 1964, he utilised a more formal approach to cinema and made Window, in which he proposed the room as a camera and the window as the aperture. Similar ideas were later investigated in Airshaft (1967), a fixed camera looking through a fire escape, and Soft Rain (1968), a window view that is partially obscured by a paper rectangle which confuses the spatial structure of the frame. Jacobs then made the definitive collage film Tom, Tom The Piper’s Son (1969) by reediting and rephotographing a ten minute short made in Hollywood in 1905. He transposed the timing, scale and sequence of the original by refilming close-ups from a screen, using filters, making loops and retarding the narrative, to make his own film nearly two hours in length. That same year he made Globe (1969), his first truly 3D film which is viewed through special Eye Opener filters. Throughout the 1970s and 1980s Ken devoted much of his time to teaching and to the development of his Nervous System projection unit. Two wonderful films he made during this period are The Doctor’s Dream (1978), a found television drama which was sequentially reedited, and Perfect Film (1986), the rushes of television news footage of vox pop interviews on the occasion of Malcolm X’s assassination, which was found in a dustbin and presented unaltered. The Nervous System is a way of deriving 3D images from standard 2D film and was begun in 1975 with The Impossible: Chapter One “Southwark Fair”. Using two single-frame analytic projectors containing identical footage (usually found or archive material), Jacobs performs cinematic magic by controlling frame by frame advances and by flickering between the two machines to manipulate the viewer’s perceptions, appearing to present both forward and backward motion at the same time. It truly defies visual (and mental) comprehension. There are now twenty Nervous System pieces, including Two Wrenching Departures (1989), a tribute to Jack Smith and Bob Fleischner. The latest is called Ontic Antics Starring Laurel And Hardy (1998) and was recently premiered at the New York Film Festival. An evening of films by the founders of Canyon Cinema, the west coast’s version of the Film-Makers’ Cooperative, which is still one of the major distributors of experimental work. Bruce Baillie is one of the most American of directors and he exposes and investigates American myths and dreams in complex multi-layered masterpieces such as Mass (For The Dakota Sioux) and Quixote. 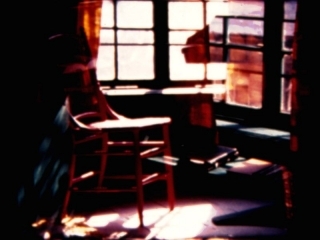 Chick Strand’s short films are simple and sensuous haiku poems. Bruce Baillie was a key figure in the development of the film community on the West Coast of the USA. In 1960, as he was beginning to make films of his own, he started the Canyon Cinema screenings in the backyard of his house in Canyon, California. These informal gatherings were the first time the West Coast had a regular forum for experimental film since the Art in Cinema series at the San Francisco Museum of Art some ten years before. After Baillie moved to Berkeley in 1962, Chick Strand became involved in the running of the collective, they started to film newsreels of the events around their neighbourhood, and another member of the group, Ernest Callenbach, started the Canyon Cinemanews periodical. In the mid 1960s Canyon Cinema was formed into a distribution group similar to that of the Film-Makers’ Cooperative. Baillie left the organisation soon after, but it continues today as a major source for renting experimental films. Baillie’s films take a uniquely American outsider’s view of the world around him. After early narratives like On Sundays (1960-61) and newsreels such as Mr Hayashi (1961), his first major personal statement was To Parsifal (1963), a poem to the summer based on the legend of Parsifal and inspired by the music of Wagner. His next film, Mass (For The Dakota Sioux) (1964), is an incredible requiem that was conceived on the occasion of President Kennedy’s murder, and was partly the result of a journey back to his original home in South Dakota. It is a densely layered tribute to the American Indian and a harsh critique of modern society, and remains it one of the classics of the experimental genre. Baillie’s next film was a deeper journey into the heart of America, and in some ways it can be seen as an extension of Mass. It was filmed on a cross country trip in 1963-64 and covers themes raised by Baillie’s interpretation of the Don Quixote books. As social analysis it investigates much of the American experience, from the Indians to Wall Street to Vietnam. It was originally planned as a double screen projection, until the final edit of 1967 produced a single screen film that often uses masterful superimpositions to portray an extremely personal journey. 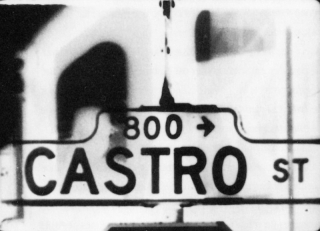 After mastering superimposition in the editing of Quixote, Baillie further advanced his technique in Castro Street (1966). The film is an abstracted portrait of a street in Richmond, executed as an incredibly rich montage of images which the filmmaker sees as the coming of consciousness. All My Life (1966) is a simple but effective film made in a single three minute pan over a picket fence in Mendocino. It succeeds in condensing a complete statement in a single shot. The same year he made Still Life (1966) using a similar approach. His next film was Valentin de las Sierras (1968), a beautifully composed ethnographic portrait of a Mexican community. Baillie then made the epic Quick Billy (1967-70), a four reel film of his psychic journey and physical recovery during a period of transformation, a personal Tibetan Book Of The Dead. In the mid 1970s Baillie shot, but has not yet completely edited, Roslyn Romance (is it really true ?) (1973-78), which follows his quest for spiritual enlightenment in a small village in Washington state. Alongside Bruce Baillie, Chick Strand was one of the forces behind the formation of the Canyon Cinema collective. Her early works share Baillie’s sense of spirituality, but concentrate more on the printing process than in the precise construction of the filmed frame. Strand also incorporates found footage into her work. After her short Haiku films of 1966-67 she went on to make a series of ethnological documentaries including Cosas de Mi Vida (1965-76) and Soft Fiction (1979), as well as collage films like Cartoon le Mousse and Loose Ends (both 1979). Not for the faint hearted – two hours of apparently empty frames! Unknown to the American artists, the Austrian film-maker Peter Kubelka developed his imageless portrait Arnulf Rainer in 1960. Five years later in New York composer Tony Conrad, artist Paul Sharits and theorist Victor Grauer each conceived their own flicker style by combining black and white, or colour, frames in rapid succession to give a strobe effect. Whilst these films can provide for enlightening viewing, members of the audience should be aware of their ability to induce epileptic seizures in susceptible people. WARNING: If you suffer from photogenic migraine or epilepsy you are not advised to attend this screening – as with stroboscopic lights, flicker films have been known to cause seizures or headaches for susceptible people. The intensity of the light from the screen, or the rate of flicker, cannot damage the eye but may possibly lead to discomfort or nausea. As a member of the audience, you are advised to proceed with caution, and to step outside into the foyer if you sense any ill affect. In the early 1960s, experimental filmmakers began to break cinema down into it smallest possible unit – the frame. Some went even further, removing any traces of image to present purely blank frames, whether in black and white or in colour. The Austrian filmmaker Peter Kubelka was the first to make an imageless film in 1960, believing that cinema speaks between the frames. In America, unaware of this achievement, Victor Grauer, Tony Conrad and Paul Sharits began to investigate the flicker phenomena. These four artists gathered for a symposium on “The Imageless Film” at the State University Of New York in Buffalo in the mid 1970s, and their films are reunited for this event. Though Peter Kubelka began his cinematic career in Austria with Mosaik im Vertrauen (1954-55), he did not find a context for his art until he arrived in America in 1965. In this first film a series of images are grouped together using a set of highly developed rules. By Adebar (1957) and Schwechater (1958), he was severely reducing the amount of information in each frame. Adebar was originally commissioned as an advertisement for the Cafe Adebar in Vienna. Kubelka filmed dancers against a white wall to achieve a flat image with extreme contrast. He selected only a handful shots and carefully composed a structure using positive / negative juxtaposition and freeze frames. This film is one and a half minutes long, Schwechater is thirty seconds shorter and though similarly structured, it is generated from a more complex set of rules that are used to order only four images. It was commissioned by a beer company, who rejected it for commercial use. Kubelka recommends that viewers see each film at least twice before attempting to understand them. In Arnulf Rainer (1960) Kubelka completely removed the image by making a montage of black or white leader, accompanied by a soundtrack of white noise and silence. He considers it the absolute film, which both defines and brackets the art. The Viennese painter Arnulf Rainer commissioned a portrait, but Kubelka became interested in presenting film its purest form and again used a complex metric structure. For Unsere Afrikareise (1961-66) he travelled to Africa and recorded ten hours of sound and a few hours of visuals which he then studied, notated and memorised before editing the material into a twelve minute movie, abandoning single frame montage but concentrating on perfect image and sound relationships. Flawlessly assembled, it is regarded by many as his masterpiece. He made one further film, Pause! (1977), in which Arnulf Rainer himself finally made it onto the screen. Peter Kubelka was a founder member, and remains a director, of the Oesterreichisches Filmmuseum in Vienna. Victor Grauer is a thereotician and composer who was one the first to present the flicker on film in the mid 1960s. These two early films have been rarely shown since that time. The original camera materials were recently discovered in his loft, and the filmmaker has struck new prints that will be premiered tonight. Perhaps because of its eponymous title, The Flicker (1965) is probably the best known of all imageless films. It was made by Tony Conrad, a musician who became aware of the effects of stroboscopic light in a class at Harvard. After graduating he travelled to New York to study and play with the composer La Monte Young and found himself in the midst of the bohemian subculture. Through Young and his wife Marian Zazeela, Conrad was introduced to Jack Smith, for whom he assembled the soundtracks to Scotch Tape (1961) and Flaming Creatures (1962-63), and Angus MacLise, whom he recorded to accompany Ron Rice’s Chumlum (1964). With Jack Smith, Mario Montez, and others, Conrad also experimented with filmless films using the flicker of an altered 16mm projector as illumination (they were too poor to afford the stock, or the camera). In 1965, he used his mathematic training and the music theory on harmonic relationships he had developed with Young to evolve ideas for The Flicker. He borrowed a camera and shot a basic four thousand frames of raw material, which was then processed and compiled according to a carefully planned exposure timing sheet using approximately six hundred splices. The rate of flicker changes throughout the film to present a variety of harmonic chords which induce different sensations in the viewer. In an extremely productive period between 1966 and 1968, Paul Sharits produced a series of outstanding films which, while devoid of mystical or cosmic imagery, seek to induce a change of consciousness by using relentlessly altering sequences of colour. His first, Ray Gun Virus (1966) was made while studying visual design at Indiana University and predates the introduction of sporadic images to his films, thus consisting only of ‘empty’ coloured frames. Sharits further disorientates the viewer by incorporating an amplified sound track of the film’s sprocket sounds. A year after Angel Eyes, Victor Grauer made Archangel (1966), a more powerful strobe film, which he described as “pure light energy, released by the splitting of the film atom”. Two further films, Seraph (“not for cowards”) and Certain Stars; Distant Star; Acid, were completed that year before he left New York City to study music composition at SUNY, Buffalo and was not able to pursue his interest in this area for some time. In the 1970s Grauer continued to investigate this phenomenon and made a number of computer generated flicker videos, and has more recently made what he regards as the definitive flicker work as a program for the Amiga computer. In 1966 Tony Conrad started work on The Eye Of Count Flickerstein, in which the flicker effect is seen as an intense sequence of images in the eye of the Count. Conrad does not regard the film as a successful achievement and it is no longer in distribution, so it is rarely seen today. In the same year, following the initial study of Ray Gun Virus, Paul Sharits made Word Movie / Fluxfilm 29 and Piece Mandala / End War (both 1966), in which at first words, then photographs were incorporated into the coloured flickers. His next major development was N:O:T:H:I:N:G (1968), a long flicker film which includes images of a chair falling backwards and a light bulb being drained of its energy. T:O:U:C:H:I:N:G (1968) came soon after and features the poet David Franks threatening to cut off his tongue with scissors and having his face scratched by a woman’s fingernails, while on the soundtrack his voice repeats the word “destroy”, which is looped into an unsettling mantra. In S:TREAM:S:S:ECTION:S:ECTION:S:S:ECTIONED (1968-71), moving images (a stream) and superimposition are introduced before the picture is systematically obliterated by scratches. During this period, Sharits developed his first double screen work, Razor Blades (1965-68), composed so as to bombard the viewer with forty-eight different images each second. Throughout the 1970s and 1980s, Sharits continued to be extremely prolific making complex and challenging films including Inferential Current (1971) Axiomatic Granularity (1972-73) and Episodic Generation (1977-78). In his lifetime, he was one of the few filmmakers who was successfully active in the art world. Between 1966 and 1973 he was a contributor to the Fluxus group. He also made Frozen Film Frames (complete filmstrips mounted between sheets of plexiglass) and developed several Locational Pieces (continuous installations for two to four simultaneous projectors, many of which were subsequently scaled down into single or double screen films). 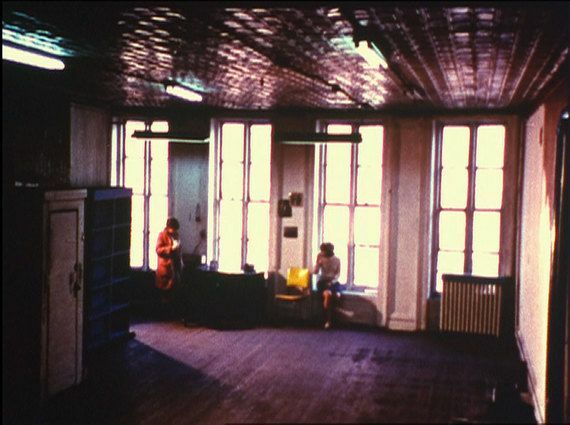 One of the most demanding of the Locational Pieces was Epileptic Seizure Comparison (1976), a double screen film comparing two male epileptics entering convulsive states, presented with quadraphonic sound in an enclosed, trapezoid space with metallic, reflective walls. Tony Conrad was married to Beverly Grant, one of the underground movie stars, and in 1970 they began to make make films together. Straight And Narrow (1970) is a further development of the flicker principle, but introduces more visual information in the form of horizontal or vertical black lines on a white background. The film is immaculately constructed and is accompanied by a pulsating soundtrack by John Cale and Terry Riley. The Conrads also worked together on the feature film Coming Attractions (1970), a tantalising fusion of flicker and other optical effects with a narrative fantasy that stars Francis Francine. In their final collaboration they made the four screen abstract film Four Square (1971). Throughout the 1970s Tony Conrad totally deconstructed the normal concept of cinema. In 1972 he exhibited the Yellow Movie series of canvases painted with a yellow pigment that changed colour over time. He then developed a number of film performances such as Deep Fried 4-X Negative (1973) 7360 Sukiyaki (1973) and Roast Kalvar (1975) which involved the cooking of raw film stock. Bowed Film (1974) consisted of an amplified film loop running between the floor and his head. 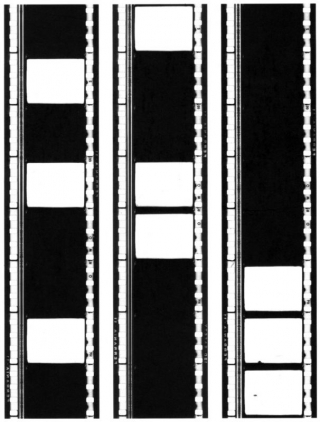 He also realised several versions of Film Feedback (1974), in which the exposed film comes constantly out of the camera and is immediately processed, dried and projected back onto the screen it is being filmed from. After spending several years concentrating on teaching and working with community television projects, Conrad has recently returned to music composition and performance. After emerging as one of the major talents of the Underground, Ron Rice died in Acapulco in 1964. The four films he shot before his death show a unique vision. Jonas Mekas coined the term “Baudelairean Cinema” to describe the works of Ron Rice, Ken Jacobs, Bob Fleischner and Jack Smith. In The Queen Of Sheba Meets The Atom Man Rice further developed the style of his celebrated debut The Flower Thief. Both films star Taylor Mead as a wistful character who wanders through various picaresque episodes. He is joined in this humorous and uninhibited frolic by the huge (and frequently naked) Winifred Bryant and the legendary Jack Smith. Though he completed only four films in his lifetime, Ron Rice displayed a unique sensibility and attitude to cinema. His first film was The Flower Thief (1960), a feature length movie made in San Francisco. It starred Taylor Mead as a wistful character wandering through a series of improvised and playful sketches with a beatific grace. This innocent but anarchic fantasy, was lovingly filmed by Rice, who succeeded in liberating the camera from its previous restraints. Jonas Mekas hailed the film a classic of “The Baudelairean Cinema”, a term he developed to describe work of that period by Ron Rice, Jack Smith and Ken Jacobs. Loosely planning to make a film called The Dancing Master, Rice went ‘on the road’ and filmed a trip to visit an island that one of the actors in The Flower Thief had allegedly bought from the Mexican government. By the time that his party arrived, the original settlers had left due to a lack of fresh water, but some footage was shot there before Rice returned to his home in New York. Senseless (1962) is a poetic stream of images from the journey, either acted or just documented. With his next film The Queen Of Sheba Meets The Atom Man (1963), Rice again used Taylor Mead to make a kind of New York version of The Flower Thief, which Mead regards as his greatest performance. The structure is similar, but this time Taylor is joined by the self-styled Queen of Sheba, a colossal negress called Winifred Bryan who spends much of the film in a state of undress. There are also notable cameo appearances by Judith Malina, Julian Beck, Ed Sanders and Jack Smith. It was mainly improvised and a lot of footage was shot, but the film was never edited into a definitive form by Rice himself. He did assemble a rough cut for a benefit screening in 1963, but the next day he took off with the money and headed back to Mexico to make his home there. He returned briefly to New York and made Chumlum (1964). In contrast to his other films it is composed of dense layers of superimposition and appears as a bizarre dream. It was shot in the evenings after the cast of Jack Smith’s Normal Love (1963) had returned to the city after filming on location out of town. The cast consists of Smith’s superstars, with the addition of Gerard Malanga, and the soundtrack is performed by Angus MacLise on the cembalum. Rice returned to Mexico and lived a life of poverty, shooting a dozen rolls of film that were posthumously collected as The Mexican Footage (1964). He retained his unique vision and remained enthusiastic about future projects but died of bronchial pneumonia in Acapulco, December 1964, at the age of twenty nine. After his death, Howard Everngam assembled Queen Of Sheba to his best knowledge of the filmmakers intentions. This version was distributed until 1979, when Taylor Mead used his memories and notes of the shooting to prepare the definitive version of the film. Structural Film became the dominant style of the avant-garde through the 1970s and these early works define the beginning of the movement. Using an apparently theoretical, conceptual and cold form, film-makers like George Landow and Michael Snow still managed to display humour in their work. Wavelength consists of one slow zoom across a New York loft space but plenty happens there to keep the viewer’s attention. George Landow continues to examine different ways of treating film and the late Hollis Frampton uniquely investigated cinematic processes. In Runaway, a few seconds of an old cartoon is manipulated into a tour-de-force of looping technique. Barry Gerson’s films are extremely formal works and Serene Velocity closes the season with a celebration of light and depth. The history and development of the Structural movement was defined and discussed at length in P. Adams Sitney’s essay Structural Film (Film Culture #47, 1969), which was subsequently expanded for his book Visionary Film (1974). The historical details proposed in this paper drew defiant responses from Peter Kubelka (claiming that he was the originator and master of the Structural tendency) and George Maciunas (who offered a Flux diagram proposing that the form was an extension of ideas from other artistic disciplines, particularly citing Fluxus as a major influence). Sitney cites the new form as “a radical shift of aesthetic tactics” from the majority of films by the likes of Markopoulos, Brakhage, Anger and Kubelka in which visual (and aural) information is rapidly projected at the viewer. It is accurate to say that Structural Film is similar to conceptual or minimal art, in that the films are usually realisations of a predefined plan. It may also be seen as the antithesis of the developments of many experimental films up to that time. With Structural Film, time (and duration) is introduced as a major factor. In addition, the use of the fixed camera position (and tripod) was in contrast with the freedom of the camera, which had been liberated and hand-held by the ‘underground’ filmmakers. The most obvious recent precursors of the Structural trend were the early works of Andy Warhol (not only the static and prolonged film like Sleep (1963) and Empire (1964) but also his later use of the zoom and rapid fixed panning) and the films of Peter Kubelka (in which a complex schemata was constructed and then followed). The innovative work of Robert Breer, Bruce Conner and Ken Jacobs may also claim some influence on the initial developments of the new movement. In the Film-Makers Lecture Bureau Catalogue #1 (1969) George Landow stated “My films are not intended as entertainment or easy viewing. They do not attempt to engage the spectator on an emotional level. A showing for the wrong type of audience could be commercially disastrous, though not necessarily without benefit.” His first 16mm film was Fleming Faloon (1963-64), a precursor to the Structural movement in which layers of images are built up and occasionally presented side by side as unsplit 8mm frames. Landow subsequently made an 8mm film Fleming Faloon Screening (1963-64) which showed people in a room watching the movie. In the 1980s he withdrew Fleming Faloon from distribution and personally prefers not to show it now. George Landow’s next film was developed out of a loop called This Film Will Be Interrupted After Ten Minutes by a Commercial, which actually was interrupted after ten minutes by a Dutch Masters TV commercial for cigars featuring Rembrandt’s painting Town Council. With Film In Which There Appear Sprocket Holes, Edge Lettering, Dirt Particles Etc. (1965-66), Landow used the same basic visual material and was one of the first artists to use a loop, together with other important innovations, as one of the primary elements of a complete film. His found fragment of a standard ‘China Girl’ Kodak test strip was split down the middle and optically printed with the sprocket holes down the centre. The loop degenerates and collects dust as it progresses. Theoretically, the film is still developing as it gets dirtier each time it is projected. Bardo Follies (1967) also concerns the degeneration of a repeating loop. It was later cut down from forty-five to seven minutes and retitled Diploteratology. In The Film That Rises To The Surface Of Clarified Butter (1968), Landow uses a cycle of loops to depict animations that have a life of their own. Institutional Quality (1969) (later redeveloped as New Improved Institutional Quality: In The Environment Of Liquids And Nasals A Parasitic Vowel Sometimes Develops, 1976) and What’s Wrong With This Picture? (1972) invite the participation, and test the logic, of the audience. Hollis Frampton also pursued this concept, as did Robert Nelson in his classic Bleu Shut (1970). Another film, Remedial Reading Comprehension (1970) exposes and confuses the distance between the film and the viewer. Landow has continued to make challenging work including No Sir, Orison (1975) and On The Marriage Broker Joke As Cited By Sigmund Freud In Wit And Its Relation To The Unconscious, Or Can The Avant-Garde Artist Be Wholed? (1980). In the 1980s, he changed his name to Owen Land and now distributes his work under that name. He is currently completing a 35mm feature-length film called Undesirables. FILM IN WHICH THERE APPEAR SPROCKET HOLES, EDGE LETTERING, DIRT PARTICLES ETC. Michael Snow is a prolific filmmaker whose work investigates time and spacial relationships. Wavelength (1967) was his fourth film and remains his most popular. The description of Wavelength as a continuous slow zoom across an empty loft space does not indicate the complexity of the film, which includes use of superimposition, negative images, filters, transition between day and night and scripted events. It is also interesting to note that the film was not shot in sequence and Snow actually began shooting with the middle section. After exposing the zoom in Wavelength, he investigated the fixed pan in (Back And Forth) (1968-69). This film takes place in a classroom and again contains acted scenarios. The panning becomes quite violent and the film becomes a study of velocity. His next major work, La Region Centrale (1970-71), involved building an automatic camera that could rotate 360 degrees in all directions, which was positioned on a completely barren plateau in Northern Canada where it made a three hour long film of its environment. An even longer film, “Rameau’s Nephew” By Diderot (Thanx to Dennis Young) By Wilma Schoen (1974) starts out as a conventional narrative but then the soundtrack begins to slip out of sync and over the course of four and a half hours, Snow systematically deconstructs the idea of a sound cinema and leaves it to the viewer to try and make sense of the confused information. His other films include New York Eye And Ear Control (1964), Presents (1980) and So Is This (1982). Michael Snow is also a respected artist, sculptor and musician. Hollis Frampton is known for introducing a new mode of syntax and grammar into the cinema. Much of his work is constructed so that the viewer may attempt to deduce the systems that produced them, and many people find his films too theoretical. From a background in art and photography, Frampton began to work in film with a series of portraits brought together as Manual Of Arms (1966). Surface Tension (1968) and Lemon (for Robert Huot) (1969) are his most successful early works. Artificial Light (1969) repeats a simple loop twenty times and each time it is visually treated in a different manner. His next film, Zorns Lemma (1970), is a masterpiece which uses the twenty-four letter Roman alphabet as the basis for a new filmic system of language. He then made the seven part Hapax Legomena (1971-72), which includes nostalgia (1973), one of his most enjoyable and accessible films. Around this time, Frampton conceived of Magellan (1972-1980) as “a 36 hour film, organized and meant to be viewed calendrically over the course of 371 days.” Many sections of this epic cycle were completed but it was left unfinished when he died in 1984. He left behind hundreds of films, together with a huge amount of photographs and writings. In the late 1960s Standish Lawder made Corridor (1968-70), which perfectly marries the hypnotic organ music of Terry Riley with a succession of differently treated movements down the corridor of the title. Using positive/negative images, varied exposures and superimposition he exposed the grain of the film and the depth of the shots. Necrology (1969-70) was a twelve minute continuous view of tired commuters on an escalator that Hollis Frampton described as “without doubt, the sickest joke I’ve ever seen on film.” With Runaway (1969), Lawder took four seconds of a commercial animation called The Fox Hunt and made a continuous loop that was then rephotographed and sequentially abstracted so that the cartoon dogs could not escape the frame. Lawder made other films, including Intolerance (Abridged) (date unknown) for which he optically double printed every twenty-sixth frame of the D.W. Griffith epic, thus retaining the essence of the narrative but reducing the running time from over two hours to ten minutes. Before developing his own entirely new film form, Barry Gerson spent four years working on the expanded narrative film The Neon Rose (1960-64). After a couple more fruitless years developing other more commercial films he changed direction to pursue his own vision with Automatic Free Form Film (1968), completely abandoning sound to investigate perspective, light and the shapes of objects. In 1969 he began a series of Groups in which two to four short films are combined. Group V (1970) consists of three short films of equal length, and each is a single shot of a minimal space. All of Gerson’s films are meticulously crafted and precisely composed. His highly developed technique forces the viewer to comprehend what is being seen and how the image was created. After making several 8mm films which he describes as being in the style of early Brakhage, Ernie Gehr switched to a 16mm camera that was usually kept on a tripod. He developed a system using f-stops in an attempt to articulate on film a similar idea to Karlheinz Stockhausen’s electronic music. Wait (1968) was his first film with this new aesthetic and others followed in the next two years. Serene Velocity (1970) is entirely composed of a sequence of stills which each last for four frames. Gehr filmed an empty academic corridor using the mid-point of the zoom as his starting point. He filmed four frames at 50mm, four at 55mm and then alternated between the two depths for sixty feet of film before increasing to 50mm and 60mm, 45mm and 60mm and so on. Over the course of the film this gives the impression of movement in both directions and opens out the corridor while keeping a flat image. Gehr continues to make groundbreaking films which often meditate on the world from odd perspectives. Later films include Shift (1973-74), Table (1976), Untitled, Part One, 1981 (1981) and Side / Walk / Shuttle (1991).